There are reports that both Britain and France are toying with the possibility of a peace plan in Libya by which Gaddafi will leave power but not be brought to justice before the International Criminal Court. Last month, a Pre-Trial Chamber issued an arrest warrant against Gaddafi for crimes against humanity and war crimes. On Monday, the British Foreign Secretary, William Hague (don’t confuse him with The Hague) said a political settlement was being considered by which Gaddafi would relinquish power but remain in Libya. France has made similar declarations. Hague was apparently building upon a statement from Mustafa Abdul Jalil, president of the rebel national transitional council, who said that Gaddafi could remain in Libya if he left power. But Florence Olara, who is spokesperson for the Prosecutor of the International Criminal Court, said: ‘Any negotiation or deal has to respect (UN Security Council resolution) 1970 and the ICC's decision’. And so we return to the peace and justice conundrum that has troubled the International Criminal Court since it began prosecutions in 2005. Indeed, it is an issue that all international tribunals dealing with crimes committed in ongoing conflicts have had to confront. To what extent can justice be sacrificed to peace? Impunity for Gaddafi in exchange for peace and democracy in Libya seems a small price to pay. Some think it an unconscionable transaction, but I wouldn’t agree, and I am sure that the people of Libya don’t either. Gaddafi may look to the example of Charles Taylor, who was also promised a ‘get out of jail free’ card in exchange for leaving power. The peace deal that ended the conflict in Liberia included a promise that Taylor could live in exile in Nigeria. But states reneged on the deal. Gaddafi may be mad but he’s not stupid. The questions raised by this problem were hotly debated in 2006-2007 after the arrest warrants were issued against leaders of the Lord’s Resistance Army in Uganda. The threat of prosecution brought them to peace negotiations, and an end to the war seemed within reach. But when the rebel leaders demanded that the charges be dropped, the ICC Prosecutor answered that this was impossible. The peace settlement collapsed. The rebels refused to sign the agreement. The Lord’s Resistance Army are still out there, although conflict in northern Uganda has abated, possibly only temporarily. Then, the African Union demanded that the Court back off from proceeding against the president of Sudan for similar reasons. The Prosecutor answered that it could not do so, and that the way to block prosecution was through a Security Council resolution. What is so significant about the latest development in Libya is that it indicates that two of the strongest supporters of the Court – Britain and France – do not see international justice as an absolute. It is something to be balanced with the imperatives of ending armed conflict. They had hinted at such a view in 2008 at the time of the application for the Bashir arrest warrant. But the United States, which had become ‘more Catholic than the Pope’, insisted this would damage the integrity of the Court and pledged to veto any resolution of the Security Council intended to suspend or block the prosecution of Bashir. There are extreme views on both sides of this debate. Among supporters of the International Criminal Court, the prevailing opinion is that expressed by the Office of the Prosecutor. The theory behind this is developed in the Prosecutor’s paper on ‘interests of justice’ where he says that the decision to temper justice so as to promote peace should be made outside the Court, at the Security Council. There is a difficulty with this ‘division of labour’ approach to the peace and justice problem. Much of the enthusiasm for the International Criminal Court has been driven by the desire of states to create an institution that is not subservient to the Security Council. Article 16, which is the provision by which the Court acknowledges the authority of the Council to block prosecution, was an ugly compromise. Most states – and certainly almost all states from the Global South – would have been delighted to eliminate article 16 altogether. But in his ‘interests of justice’ paper, the Prosecutor said that the way to deal with peace is through article 16 of the Rome Statute. I believe that this philosophy does not sit well with many states, and that it helps explain the unhappiness with the Court that we have seen in Africa in recent years. The reference to ‘States not party to the Rome Statute’ means the US, China, Russia and so on, but not Libya, as I understand it, because of the first phrase in the paragraph. Of course, the Security Council could revoke the resolution, of course. That would be a terrible blow for the Court, however. This is the dilemma created by the Prosecutor’s approach to the peace/justice relationship. Assigning the ‘peace’ component to the Security Council has the consequence of subordinating the Court to the Council, and this is not in the best interests of the institution. It would be better if the Court could offer a comprehensive, holistic approach to peace and justice. The Prosecutor should use the powers granted by article 53 of the Rome Statute to agree to withdraw from a situation when this is in the interests of peace. He has no need of the Security Council. In the long run, this will protect and promote the Court, and ensure that the broad support it has enjoyed throughout the world will continue. One of America's sharpest political satirists, Steven Colbert, has taken a wonderful shot at journalists who were anxious to pin the blame for the Norwegian terrorist attacks on Muslim extremists. See here. Thanks to Elizabeth Zitrin for the Colbert link, and to David Scheffer, who took the photo. 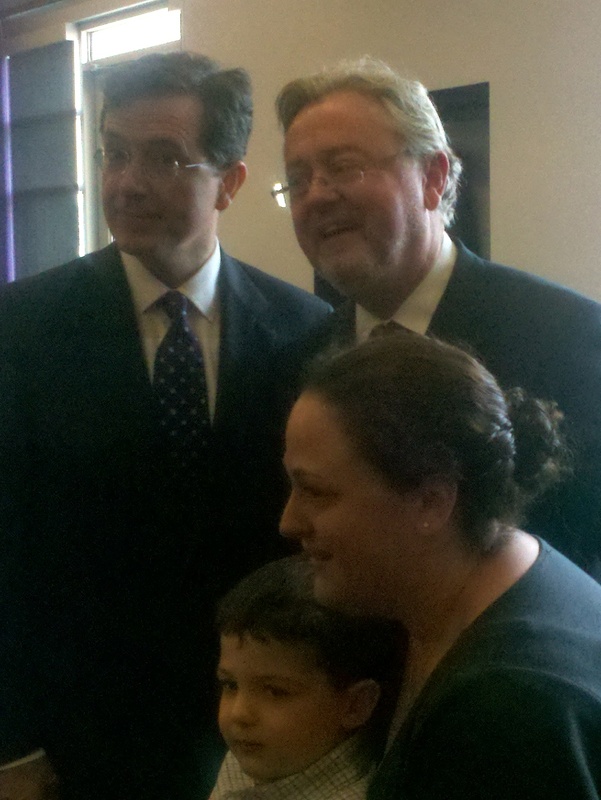 Colbert, myself, my daughter Marguerite and my grandson Thomas last month at Northwestern University in Chicago, where we were both awarded honorary doctorates. Crimes Against Humanity in Norway? There are news reports that prosecutors in Norway are contemplating prosecuting Anders Behring Breivik, who was responsible for the bombing and mass murder that took place a few days ago, for crimes against humanity. Norway's own domestic legislation may be sufficiently large that such acts are covered. To the extent that it is drawn from international law sources, the issue will be the source. If the Norwegian legislation follows the text of the Rome Statute, it would seem unlikely that the recent atrocities fit within the definition. Not only does article 7 of the Rome Statute require that the crimes be part of a 'widespread or systematic attack on a civilian population', the attack must be 'pursuant to a state or organizational plan or policy'. It might be argued that Breivik was acting pursuant to the plan of some organization. That, in turn, raises the issue of the nature of the organization. Last year, a Pre-Trial Chamber of the International Criminal Court divided on this issue. The majority interpreted the concept broadly enough so that it could encompass the post-electoral violence in Kenya. In dissent, Judge Hans-Peter Kaul reviewed the historical sources and held that the 'organization' in question must be affiliated with a State or State-like entity. If the Norwegian legislation departs from the text of the Rome Statute and has no reference to State or organizational policy, the issue will remain as to whether the State or organizational plan or policy is a requirement that is implied within the general notion of crimes against humanity. The Appeals Chamber of the International Criminal Tribunal for the former Yugoslavia has said that it is not. See Kunarac, para. 98, fn. 114. But the discussion of this issue by the Appeals Chamber in Kunarac is decidedly unsatisfactory. It lists several sources that it says support such a conclusion. But on examination, these sources do not bear out the interpretation given by the Appeals Chamber. For example there is an inaccurate reference to the International Law Commission report of 1954. The Appeals Chamber said it provided support for the exclusion of a policy component. In fact, after lengthy consideration, the Commission decided to include such an element. The Chamber also invokes an Australian precedent. But the Australian precedent does nothing more than cite an academic journal article published in 1946 that apparently explains the fallacy of a judgment issued in 1948. I don't know how that could happen. In my opinion, the better view is that crimes against humanity under general international law should be applied in a manner consistent with the Rome Statute, rather than in the broader approach taken by the Appeals Chamber of the International Criminal Tribunal for the former Yugoslavia. In other words, unless the Norwegian legislation expressly rejects the policy element, which seems unlikely, then Norway's judges should read this into the definition. Such a result is likely to disappoint some, who will be excited at the idea that an insane, neo-fascist terrorist is being prosecuted for crimes against humanity. And I'll not be surprised if someone writes me in the next day or two asking if it might be genocide. After all, the perpetrator seems to have been intending to destroy his political opponents. Last week, in Buenos Aires, I heard a judge explain that genocide was really meant to encompass political groups as well as national, ethnic, racial and religious groups, and for that reason he had issued a ruling that condemned torturers in the Argentinian military for genocide. As a fallback argument, weren't all of the victims Norwegian? So he was trying to destroy a national group 'in part'. But as explained above, rather than search for technical literal interpretations that generate extravagant results, we are better to interpret the definitions of international crimes in their context, and with an eye to their origins. Above all, we should consider the purpose of international criminalization. A good test in this respect is to question whether there will be impunity. When crimes are committed as a result of state policy, generally there is impunity, and for obvious reasons, unless there has been a change in regime. Of course, crimes like those perpetrated in Norway will certainly not go unpunished. There will be no need for universal jurisdiction, or international tribunals, or truth commissions, or labels like jus cogens and erga omnes, or joint criminal enterprise or co-perpetration. They are multiple murders and I am sure that the perpetrator will go to jail for a very long time. Unless of course he is deemed to be insane, which is not entirely improbable. In that case, he'll be put in secure confinement until he has recovered. Justice will be done, and without the need for international law. My advice to the Norwegian prosecutor would be to stick to the ordinary criminal code, which has everything that is needed to deal with this tragic situation. The application, in Janowiec and Others v. Russia (application nos 55508/07 & 29520/09), was brought by 15 of the victims’ relatives. 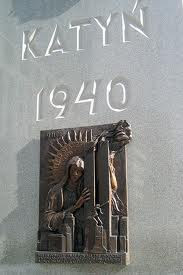 The 12 men were police and army officers, an army doctor and a primary school headmaster, and were allegedly victims of the Katyń massacre and related killings that took place in early 1940 following the Soviet occupation of parts of eastern Poland. Investigations concerning the deaths were started by the Russian authorities in 1990, after President Yeltsin admitted that the massacre was attributable to the Soviet Union. Criminal proceedings concerning the 12 men in question were discontinued however, because the men’s bodies were not identified during the latest investigations, even though they were listed as prisoners in the relevant camps at the relevant times. Katyń was a subject of much debate during the Nuremberg Trial. The mass grave was first discovered by the Nazis after they overran Soviet and Soviet-occupied territory. They carried out an inquiry in 1943, during which some of the bodies of the applicants at the European Court were identified. Later, when the Soviets drove back the Nazi armies, they regained the territory and carried out their own investigation. The reports of both investigations were filed before the International Military Tribunal. In the end, the judgment did not even mention Katyń. As the press release of the European Court notes, on 26 November 2010 the Russian Duma made a statement about the “Katyń tragedy”, in which it reiterated that the “mass extermination of Polish citizens on USSR territory during the Second World War” had been on Stalin’s orders and that it was necessary to continue “verifying the lists of victims, restoring the good names of those who perished in Katyń and other places, and uncovering the circumstances of the tragedy...". The Court declared admissible the complaint relying upon the ‘procedural obligation’ contained in article 2 of the European Convention on Human Rights (right to life). The complaint alleges that the Russian authorities failed to carry out an adequate and effective criminal investigation into the circumstances leading to and surrounding the deaths of the relatives of the applicants. The Court joined to its examination of the merits of the complaint the issue of temporal jurisdiction. The Court will be required to determine whether it can examine the adequacy of an investigation into events which had occurred before Russia ratified the European Convention on Human Rights, indeed before the Convention was even adopted. The Court also declared admissible the applicants’ complaint that the way the Russian authorities reacted to their requests and applications amounted to ill-treatment under Article 3 (prohibition of inhuman or degrading treatment) of the Convention. At its recent session held in late June in Astana in Kazakhstan, the Council of Foreign Affairs of the Organization of the Islamic Conference recently adopted a Statute of the OIC Independent Permanent Human Rights Commission. It looks as if it is conceived to be a rather toothless institution, but I suppose it is a beginning. A one-year lecturer position at the Irish Centre for Human Rights is advertised. Click here. The closing date for applicants is 4 August. We are looking for someone who can start very soon. This is a great opportunity for a new graduate or even for someone in an established position who might take a year's leave and come and work at the Irish Centre. Michael comes from Galway and has had a long association with the Irish Centre for Human Rights. Congratulations on your appointment, Michael. Wall paintings at the OIimpio site. One of the Olimpio torture chambers. I'm in Buenos Aires this week, attending the conference of the International Association of Genocide Scholars. Today, a group of us went to visit the detention centres known as Olimpo and ESMA. These are places where political prisoners were tortured and subsequently murdered by the military junta that ruled the country from 1976 to 1983. Both of these places are in the city of Buenos Aires. Olimpo, where we went in the morning, is located in one of the neighbourhoods of the city. It used to be a tram station. In 1978 and 1979, about 500 people were taken there to be tortured. Only about 100 survived. ESMA, where we went in the afternoon, was the Naval Academy. Some 5,000 people passed through the place, of whom only about 250 survived. Most of the victims were tortured and then dropped from airplanes into the ocean. We were told about how in recent years Argentina has become committed to bringing the perpetrators to justice, after decades of impunity. Several of the torturers at Olimpo were recently convicted - men in their 60s and 70s - and sentence to life imprisonment. At ESMA, we saw the special cells where the pregnant women were taken, so that they could deliver babies before being murdered. The babies were then given to people associated with the torturers. There are perhaps 500 children who were raised by families that were, in some way or another, complicit in the murder of their mothers. Now the children, who are in their 30s, are reclaiming their identities and finding their natural grand-parents, brothers and sisters and cousins. One of our group asked why they would spare the children. But I think that the explanation is that this was political murder, rather than ethnic or racial genocide. According to the perverse code of values of the perpetrators, the children were innocent, whereas their parents were evil subversives who deserved their terrible fates. Where genocide is driven by racial or ethnic hatred and the desire to exterminate the racial or ethnic group, we see the children - indeed the children above all - being victimised. At Nuremberg, Otto Ohlendorf, who headed one of the Eiunsatzgruppen units, explained that the children had to be murdered so that they would not return as adults and fight the Nazis. Here in Buenos Aires it is winter. While yesterday was a lovely day, today it was rainy and miserable. It seemed fitting, given what we did. I feel terrible depressed about the stories we heard, and of the persecution that these victims - many of them quite heroic - suffered in their struggle for democratic governance and human rights. The people of Argentina - or at least those we met today - seem still to be traumatised by their past. The trials now underway are a part of their efforts to deal with the past, and to ensure that it never repeats itself. This was the classic case of enforced disappearance, a method that dates back to Hitler's Nacht und nebel decree, and even before. Tens of thousands of political activists, most of them young, disappeared in Argentina during the 1976-1983 period. The contemporary discourse in Argentina describes the violence as 'State terrorism'. The killings are generally characterised as a campaign of 'extermination'. The Telegraph has indulged in a bit of sensational journalism today with a story about a complaint concerning Barack Obama being filed at the International Criminal Court by a Spanish lawyer. The charge is that by his involvement in killing Osama Bin Laden, the President has committed crimes against humanity. Such silliness has no legal foundation. My dear hope is that The Telegraph follows the example set last week by the News of the World. Whether or not the assassination of a single individual could ever be a crime against humanity need not be considered. There are some preliminary issues that must be addressed. The only way that I can see Obama falling under the jurisdiction of the Court is if we get his Kenyan birth certificate. Kenya is a State Party to the Rome Statute, and under article 12 the Court may exercise jurisdiction over a national of a State Party for a crime committed anywhere. Absent a copy of Obama's Kenyan birth certificate, the problem is that the crime took place on the territory of a State that is not a member of the Court and was committed by someone who is allegedly a citizen of a country that is not a member of the Court. One way to solve it would be to get the Security Council to adopt a resolution, as it has done with Sudan and Libya. I wonder why that won't happen. But even with the Kenyan birth certificate, there is another problem, although it is more controversial. The Court has already held, in two arrest warrant decisions, that head of state immunity cannot be invoked, even with respect to the head of state of a country that has not joined the Court. In so doing, the Court has given a literal and rather simplistic reading of article 27(2) of the Statute. The United States seems to be rather pleased with the arrest warrants directed at President Bashir of Sudan and 'president' Gadaffy of Libya by the Court. However, I suspect that the real position of the Department of State is that article 27(2) does not apply to heads of state of countries that have not joined the Court. Thus, the Court cannot prosecute Obama (and, logically, Bashir and Gadaffy). Article 27(2) is an exception to customary international law, which enshrines the immunity of heads of state from courts other than those of their own country. States that join the International Criminal Court renounce to this immunity. But they cannot take it away from States that have not joined the Court. And that's the rule even if Obama is a Kenyan citizen! We don't need international law to prosecute the killers of Bin Laden. The provision on murder in the Pakistan criminal code will do just fine. Pakistan can prosecute the Seals who did the killing, and the generals who ordered them. But it can't prosecute Obama, because of his head-of-state immunity. Obama can only be prosecuted by the courts of the United States. Today's New York Times has an editorial entitled Terrorism and the Law. Its call for a 'return to a constitutional system of law enforcement' is very welcome. The editorial speaks of an accused Somali, Ahmed Abdulkadir Warsame, who was seized by American forces in international waters and who was then 'secretly held in extralegal detention' on a warship. It crticises President Obama for 'drifting toward establishing his own system of extralegal detention'. What's that? What does 'extralegal' mean? According to my Oxford English Dictionary, it is an adjective that describes something 'beyond the province of law, not regulated by law'. Perhaps thunderstorms are extralegal. Or sunsets. But when a government 'arrests' (i.e. 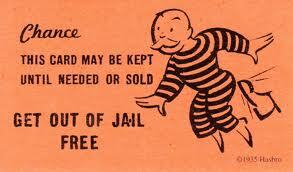 kidnaps) people and then holds them secretly, denying them access to courts, this isn't 'extralegal', it is 'illegal'. Within UN law, there is a document entitled 'Principles on the Effective Prevention and Investigation of Extralegal, Arbitrary and Summary Executions', adopted by Economic Social Council resolution 1989/65 of 24 May 1989. I can't explain why they used the term, but clearly the preferred nomenclature is 'extrajudicial' rather than 'extralegal'. An extrajudicial execution would be one carried out without judicial authorisation, and there is probably some usefulness in the concept. But an extralegal execution might better be called a 'murder'. The New York Times is supposed to be a bit of a stickler for precise language. I'm not sure if they still have the regular columns by William Safire that offered entertaining if pedantic discussions about the meaning of words. Perhaps they could explain the difference between 'extralegal' and 'illegal'. The Bangor School of Law, in Wales, is looking for a lecturer on the law of armed conflict and international humanitarian law. Click here. On Friday, the Special Court for Sierra Leone began contempt of court proceedings against five individuals accused of threatening witnesses. Armed Forces Revolutionary Council (AFRC), Hassan Papa Bangura (aka: “Bomblast”) and Samuel Kargbo (aka: “Sammy Ragga”) appeared before Justice Teresa Doherty in the Freetown courtroom. Two others, also former AFRC leaders, Ibrahim Bazzy Kamara and Santigie Borbor Kanu (aka: “Five-Five”), appeared via video link from Rwanda, where they are serving lengthy prison sentences. The charges involve offering bribes to a witness to recant testimony. Kamara is also charged with disclosing the name of a protected witness. Kargbo apparently pleaded guilty and offered to testify as a prosecution witness. The others pleaded not guilty. In the second proceeding, former Revolutionary United Front (RUF) member Eric Koi Senessie pleaded not guilty to nine counts alleging he attempted to bribe or otherwise interfere with prosecution witnesses who testified in the trial of former Liberian President Charles Taylor. I have never been a great fan of contempt of court proceedings at the international criminal tribunals. On a technical reading of the Statutes, the ad hoc tribunals don’t even have jurisdiction over such matters. For example, article 1 of the Statute of the Special Court for Sierra Leone says it is ‘to prosecute persons who bear the greatest responsibility for serious violations of international humanitarian law and Sierra Leonean law committed in the territory of Sierra Leone since 30 November 1996’. I don’t think that contempt of court falls into that category. When the ad hoc tribunals started dealing with these cases, they argued that the authority was implied. Addressing contempt of court (and perjury) was said to be ancillary to their functions, and necessary to ensure the proper administration of justice. Perhaps. It is true that the Rome Statute provides for this explicitly. But the tribunals could easily have left the matter of contempt to some other jurisdiction. For example, could not the ordinary courts of Sierra Leone deal with attempts to bribe witnesses and otherwise pervert judicial proceedings? When the International Law Commission prepared the draft statute of the International Criminal Court, in the early 1990s, there were suggestions that contempt of court and similar matters be left to domestic courts. If international courts are going to insist on prosecuting contempt, perjury and attempts to bribe witnesses, in the name of the administration of justice, why not take it a step further and prosecute someone who steals a judge’s bicycle? It is probably a general principle of law that courts have some kind of inherent authority to deal with contempt that is committed in the courtroom, when the judges are present. But I don’t think that courts generally have any inherent jurisdiction to punish matters like bribing witnesses. Civil courts certainly don’t. If such corrupt practices take place with respect to a civil trial, the local prosecutor gets called in and there is a trial for the matter before some other court. At the international level, the International Court of Justice and the European Court of Human Rights may hear witnesses but I am not aware of them ever indulging in a prosecution for contempt, or ever feeling the need for such a possibility to exist. Anyway, where would they send someone convicted of such a crime? Why is this a problem at the Special Court for Sierra Leone? Think of the cost. It involves a number of highly-paid international judicial officials, expensive legal aid lawyers, and above all precious time for an institution that has more important things to do. If the Special Court still has some money to do trials and time on its hands, why not prosecute another war criminal instead of worrying about such matters. Earlier, it might have been argued that such prosecutions are necessary in order to deter others. But the Special Court for Sierra Leone has concluded its final trial. The deterrence argument can’t be very compelling. Humberto Leal was executed by Texas yesterday, defying an order from the International Court of Justice. The United States Government intervened, but unsuccessfully, to stop the execution. Here is the brief. The United Nations High Commissioner for Human Rights issued a statement condemning the breach of international law by the United States. A last minute application to the Supreme Court was dismissed 5-4, paving the way for the execution. The same day as the judgment was issued, one of the members of the majority, Justice Kennedy, was visiting Galway where he lectured to the students in the summer school of the New England School of Law that we host. He had lunch that day with one of my colleagues. I'm ashamed. 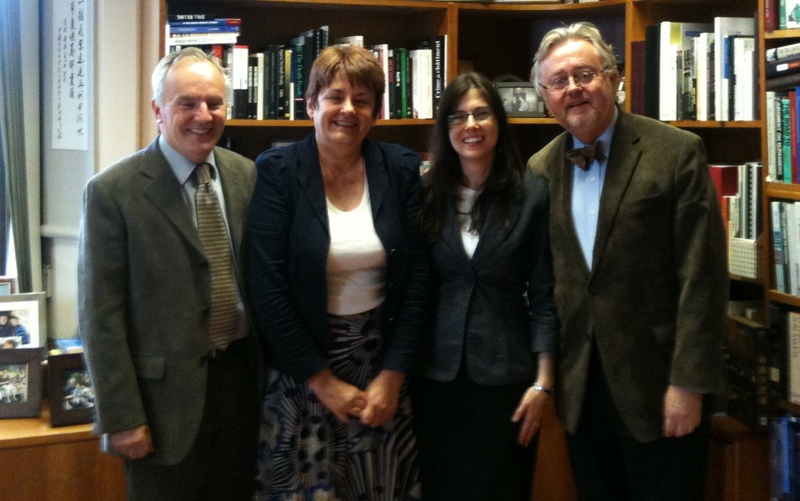 From left, Ray Murphy, Françoise Hampson, Nancie and myself. 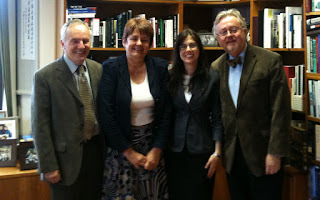 Nancie Prud'homme successfully defended her doctoral thesis on the relationship between international humanitarian law and international human rights law this afternoon. There were two external examiners, Professor Françoise Hampson of Essex University and Professor Douglas Cassel of Notre Dame University. Dr Ray Murphy was the internal examiner. Nancie began studying with me more than fifteen years ago when she was an undergraduate law student at the Université du Québec à Montréal. She was a member of team of students from the University that competed in the Concours René Cassin in Strasbourg in 1995, and of which I was the coach. Nancie also did her LLM degree at the Université du Québec à Montréal under my supervision, although she completed it in Galway. Nancie now works as the manager for the EU-China Project at the Irish Centre for Human Rights. She has also been involved in other initiatives, such as the report on Burma that we published last year. Two very important judgments were issued this morning by the Grand Chamber of the European Court of Human Rights, in the cases of Al-Skeini and Others v. the United Kingdom and Al-Jedda v. the UK. The applicants in Al-Skeini were civilians who had been killed while in detention by British troops in Iraq during the period from 1 May 2003 to 28 June 2004, while Iraq was officially occupied by the invading armies. Al-Jeddah was an Iraqi civilian detained for more than three years (2004-2007) in a detention centre in Basrah, Iraq that was run by British forces. The Court held that it had jurisdiction over the United Kingdom in accordance with article 1 of the European Convention. In Al-Skeini, the Grand Chamber went on to find that the failure to conduct an independent and effective investigation into the deaths of the relatives of five of the six applicants amounted to a violation of Article 2 (right to life) of the Convention. Three of the victims were shot dead or shot and fatally wounded by British soldiers; one was shot and fatally wounded during an exchange of fire between a British patrol and unknown gunmen; one was beaten by British soldiers and then forced into a river, where he drowned; and one died at a British military base, with 93 injuries identified on his body. It is useful to recall that the Prosecutor of the International Criminal Court has already acknowledged that he can exercise jurisdiction over nationals of the United Kingdom for crimes committed in Iraq. These violations of the right to life may well meet the definitions of war crimes. Unfortunately, not only did the United Kingdom fail to investigate, for which it was found to have violated the European Convention. The Prosecutor of the International Criminal Court also failed to investigate. The Prosecutor also expressed satisfaction with the investigations carried out by the British into allegations of war crimes in Iraq. In a statement issued in February 2006, the Prosecutor said that his Office had ‘collected information on national proceedings, including commentaries from various sources, and that national proceedings had been initiated with respect to each of the relevant incidents’. In the Al-Jedda case, the Grand Chamber said there had been a violation of article 5(1), which protects against arbitrary detention. 37. I confess to be quite unimpressed by the pleadings of the United Kingdom Government to the effect that exporting the European Convention on Human Rights to Iraq would have amounted to “human rights imperialism”. It ill behoves a State that imposed its military imperialism over another sovereign State without the frailest imprimatur from the international community, to resent the charge of having exported human rights imperialism to the vanquished enemy. It is like wearing with conceit your badge of international law banditry, but then recoiling in shock at being suspected of human rights promotion.38. Personally, I would have respected better these virginal blushes of some statesmen had they worn them the other way round. Being bountiful with military imperialism but bashful of the stigma of human rights imperialism, sounds to me like not resisting sufficiently the urge to frequent the lower neighbourhoods of political inconstancy. For my part, I believe that those who export war ought to see to the parallel export of guarantees against the atrocities of war. And then, if necessary, bear with some fortitude the opprobrium of being labelled human rights imperialists. 39. I, for one, advertise my diversity. At my age, it may no longer be elegant to have dreams. But that of being branded in perpetuity a human rights imperialist, I acknowledge sounds to me particularly seductive. Congratulations are due to Phil Shiner and his team at Public Interest Lawyers, and to Rabinder Singh QC, who argued the cases for the applicants before the Grand Chamber. The British Institute of International and Comparative Law is seeking to appoint a Research Fellow to work on a funded project relating to international law and access to education in fragile situations. This research project will lead to the creation of a legal resource guide for legal practitioners, which explains the relevant international legal issues, including international human rights, international criminal law and humanitarian law, as they relate to access to education. I understand it is a six month contract. For more information, click here. The International Criminal Court has just launched the International Criminal Justice Day Facebook page and the Journée de la justice pénale internationale Facebook page to encourage people to celebrate 17 July (see press release for detailed information). These pages will also provide a forum to share plans for this year’s celebrations as well as to offer ideas on how it could be celebrated in the coming years. Thanks to Lori Ann Wanlin.